A decorative towel stand adds a bit of style to any bathroom. 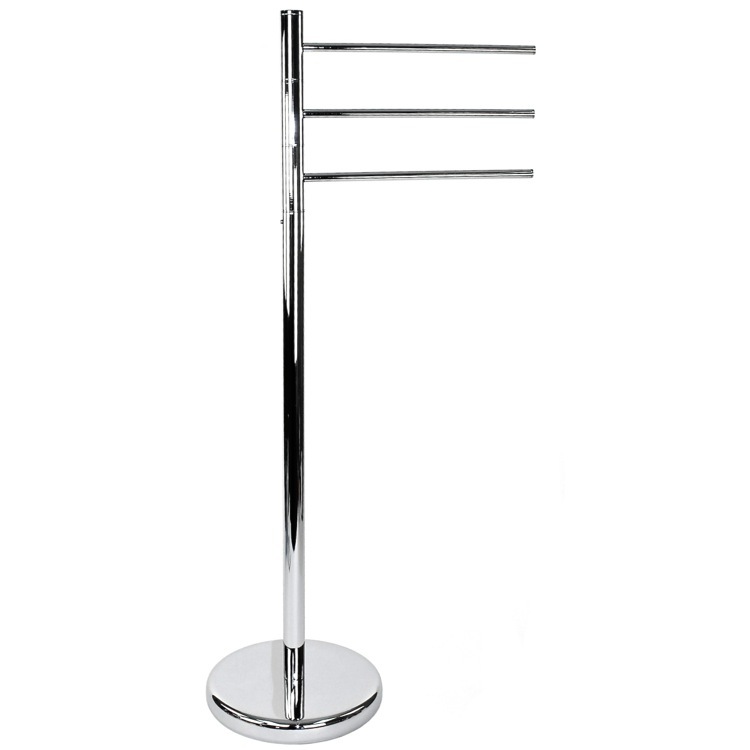 This free standing towel rack is made of chromed brass and features a stylish rounded base. This towel holder includes three equal length towel tails, easily holding three towels. The design has a large impact through a minimalist approach.